“Mr. Musa was defamed.” Those were the words of Chief Justice Abdulai Conteh this morning as he handed down his judgement in the case of the Prime Minister versus The Reporter’s Publisher Harry Lawrence. Conteh said that Lawrence’s attorney Dean Barrow “failed to prove the truth of the words set out” in the editorial of October second 2005. 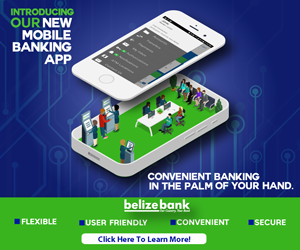 That column accused the Prime Minister of committing an illegal act in connection with the multi-million dollar tax write off for the Belize Bank and went on to allege that Musa had collected millions more in campaign financing from Michael Ashcroft for the 2003 elections. Lawrence’s defence was that the column was justified as fair comment on a matter of public interest. But the C.J. was not convinced by those arguments and felt that the P.M., who defended by son Kareem Musa, “proved his case” for defamation and libel. And although Conteh did not think that Lawrence published the remarks “with an eye to profit or to increase circulation” he nonetheless ordered the newspaper publisher to pay twenty-five thousand dollars in damages for defamation and ten thousand dollars in court costs. Following the adjournment, Lawrence and Musa gave their opinions of the outcome. Kareem Musa, Attorney for the P.M.
Lawrence says he is not sure whether he will appeal the judgement. Because his attorney, Dean Barrow was not feeling well enough to appear in court today, Tanya Moody appeared on his behalf.